Can I Climb the Mountain Huayna Picchu? Machu Picchu was the winner of the Travelers’ Choice Awards 2016; Millions of users of the world’s largest commuter community, chose Machu Picchu as the best destination in the world . But there are people who not only want to know the Inca city of Machu Picchu, but also decide to add more adventure and adrenaline to their experience in Machu Picchu. There are two mountains in Machu Picchu, the mountain Machu Picchu is the mountain where the Inca city of Machu Picchu is built, and the mountain Huayna Picchu is the mountain that can be seen behind; In the classic image of Machu Picchu. Almost all people can reach the top of the mountain Machu Picchu, but the mountain Huayna Picchu is a different challenge . However, The question that everyone is asking while checking the availability of tickets Machu Picchu Can I climb the Huayna Picchu Mountain? To know if you can get to the top of Huayna Picchu, read this carefully. Huayna Picchu (Wayna Picchu, or also Waynapicchu) means “young mountain” in Quechua; This mountain lies just behind the Inca city of Machu Picchu and can be seen in the background, in all the classic postcards of Machu Picchu. From a time to this part, for many people it is unimaginable to go to Machu Picchu and not climb the mountain Huayna Picchu, considered one of the best short hikes in Machu Picchu and in the whole world . The views of Machu Picchu and the fabulous mountain environment where it is located, are unsurpassed from the top of Huayna Picchu; However, not all people can tour the Huayna Picchu. Can I climb the Huayna Picchu Mountain? First thing’s first; The tickets Machu Picchu + Huayna Picchu must be booked at least 4 months in advance ; May have every intention of reaching the top of the Huayna Picchu, but if you do not have one of these tickets, you will not be one of the lucky 400 who entered Huayna Picchu “that day”. Is it afraid to the heights? If you suffer from vertigo or can not control your fear of heights, you should choose the Ticket Machu Picchu + Mountain The Huayna Picchu trails are vertigo and “visually terrifying”; Are built between the walls the mountain and precipices with falls of hundreds of meters, direct to the Urubamba river . If you think you can not overcome your fear of heights, choose Machu Picchu Mountain; However, if you believe that you can overcome this fear, the top of Huayna Picchu can offer you one of the greatest experiences of your life. The mountain Huayna Picchu has a flight of stone steps, known as the stairs of death , and stand between you and the top of the Mountain, where you can find the amazing Temple of the Moon . While no one has fallen or died on these stairs, they are the main cause that many people have panic attacks, or decide not to continue. So think it through. In the distance the mountain Huayna Picchu can be intimidating, but can be climbing by people over 12 years. It will find some stretches of the way where it will have to hold of cables, so it will have to have both free hands. To climb the mountain Huayna Picchu does not need technical climbing skills, but a great respect for mountains and extreme heights, in addition to an acceptable physical state . We have taken many people to the top of the Huayna Picchu and we know from experience that reaching the top of Huayna Picchu, going beyond their age, their physical state or their mountaineering knowledge, depends more on their desire to be in the top and see Machu Picchu from above. If you have already decided that you are going to climb the Huayna Picchu Mountain, then you will surely be interested in what comes next. What are the views from the top of Huayna Picchu? It will have a vertical ascent of 290 meters and in the summit will have a fantastic bird’s-eye view, being able to appreciate details of the Inca city, that otherwise are difficult or impossible to be noticed. From the top of Huayna Picchu you can see the terraces and structures of the city in all their magnitude ; In addition, after seeing Machu Picchu from above, the usual questions will be asked. How did the Incas build Machu Picchu? O Why did they choose such an inaccessible place? Although you may have your own questions. What group to choose to climb Huayna Picchu? 07 am or 10 am? The 7 am group offers you a cool moment of the day, especially during the dry season where temperatures and the sun can get very hot. However, we recommend ascending in the second group Why? Because in choosing the second group there is a lower probability of encountering the fog covered by Machu Picchu in the mornings, especially during the rainy season. Believe us, you will not like to get to the top of Huayna Picchu and not be able to see Machu Picchu from there. If you want to know more about which Huayna Picchu group to choose ?, enter here. Important! 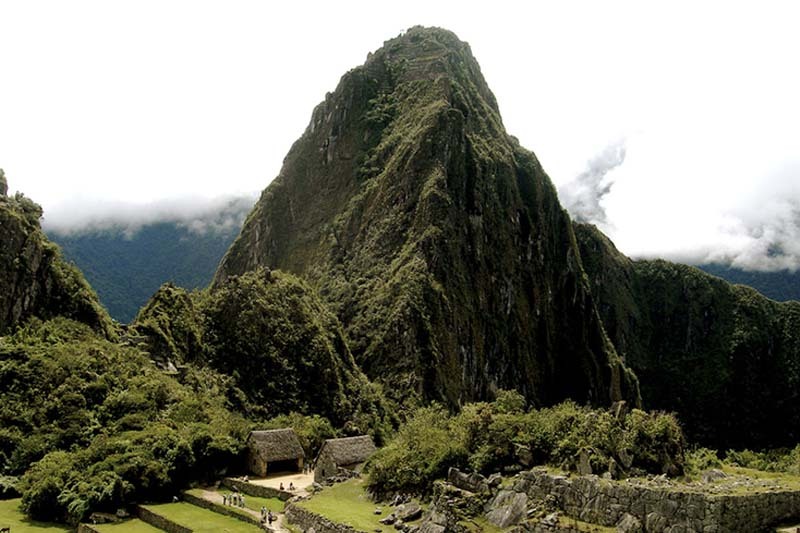 Book the ticket Machu Picchu + Huayna Picchu at least 4 months before; Otherwise, you will have to settle for Machu Picchu Mountain or some other alternative trek. If you noticed that the Huayna Picchu is not for you, know that there are many other short hikes in Machu Picchu.